This is such a delicate soup and so pretty. I remember the first time I made it I used a package of egg drop soup mix and I didn’t want to waste a whole can of baby corn because I only needed a few spears so I bought it from the salad bar picking up only what I needed you could probably also do that with picking up at few chunks of chicken a few leaves of spinach and your baby corn. After looking around on the internet for a from scratch recipe I ended up find gimmesomeoven.com’s recipe. 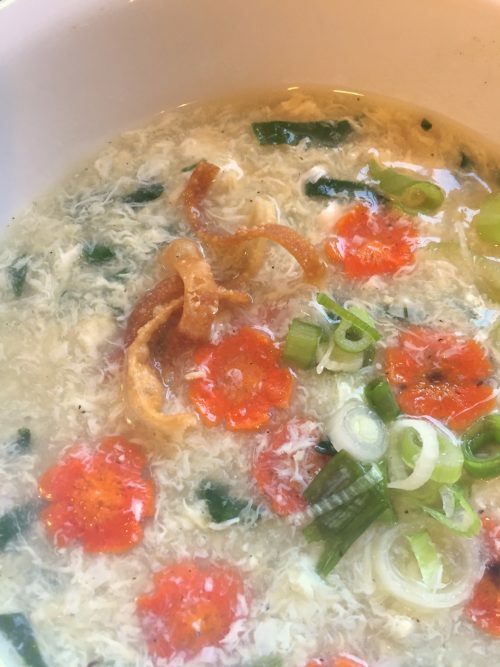 Egg drop soup has to look bright, fresh and beautiful in my opinion and Gimmes’ recipe fit the bill and was ready for my additions. Hope she will try my version. I made this for my bunco group and served in my tiny espresso cups with some fried won ton strips to garnish each cup. It’s cold again in Texas so it was time to make some soup. 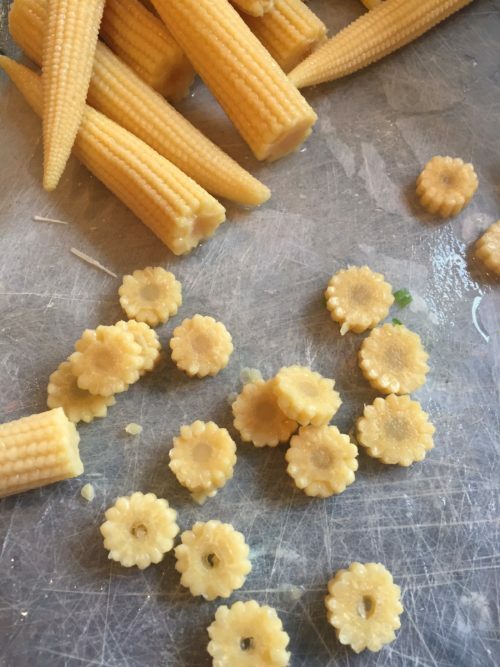 I love this soup and love the “flowers” in the soup but I am not a fan of baby corn so if you aren’t either I have a few pictures below showing you how to make “flowers” from carrots and it adds a little more color to the soup than the yellow corn. 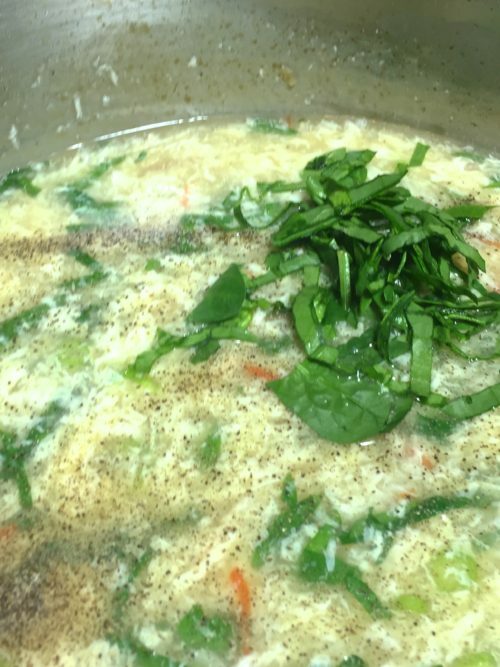 BLAST FROM THE PAST: If you are looking for a new soup to try some cold winter night, why not try my Creamy Chicken Poblano Pepper Soup. It will hit the spot. 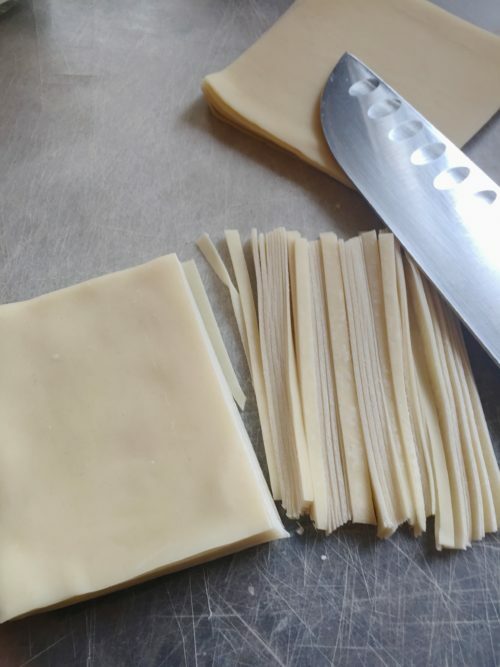 Cut the wonton skins into small thin strips. 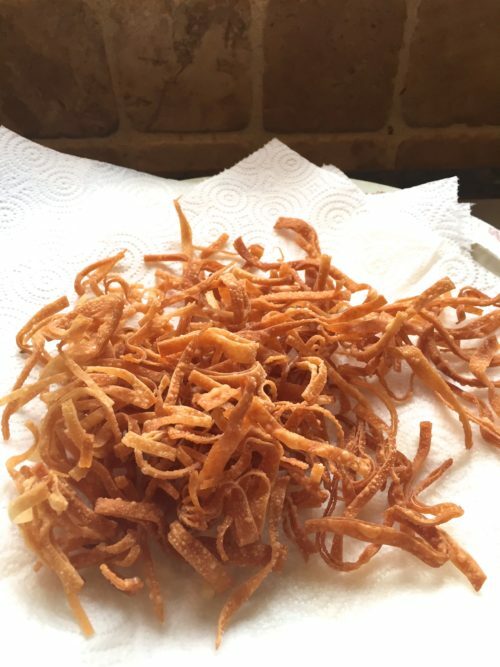 Fry in oil until crisp and drain on paper towels. Drain and rinse the can of baby corn and slice into thin slices. Set aside until ready to use in the soup. Make a chiffonade of the spinach leaves (stack and roll up) and cut into thin strips. Mix the cornstarch and the broth together until it has dissolved then add in the ginger and garlic. 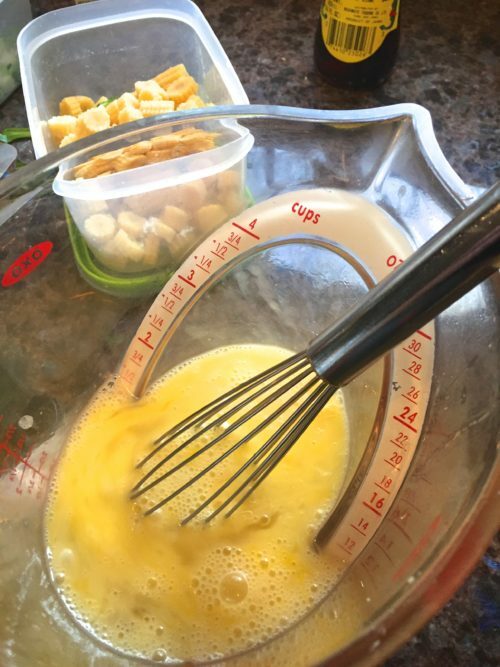 Beat the eggs and egg whites with a whisk until totally beaten and mixed. 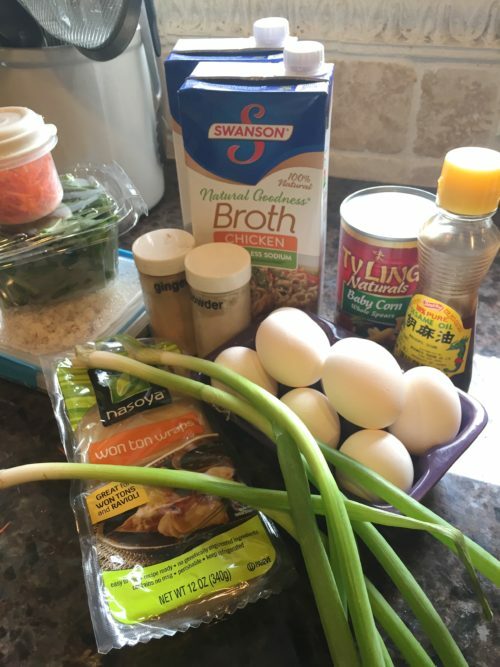 Bring the broth to a rolling bowl then turn off the heat and pour in the egg mixture. I put a fork over the back of the measuring cup and let the egg run through the fork tines. Add the carrot threads, spinach and baby corn slices. Salt and pepper to taste. Ladle into bowls, top with some green onions and wonton strips. So, if you want to make carrot flowers instead of the baby corn. Here’s how I made these with a mistake I made in the NOTES section. 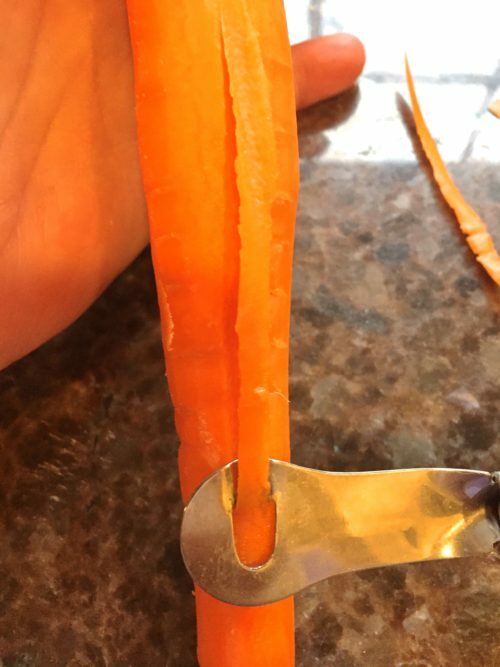 Using a “channel” knife or tool, cut about 5 strips down the side of each carrot. This is a garnishing, testing type tool. 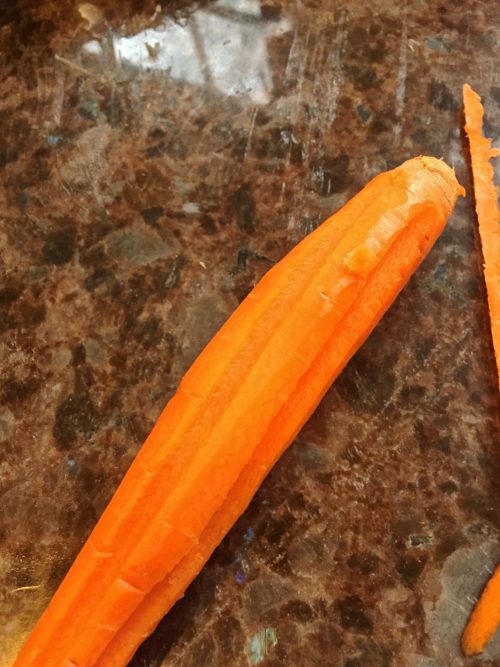 This is what the carrot will look like after making your cuts. 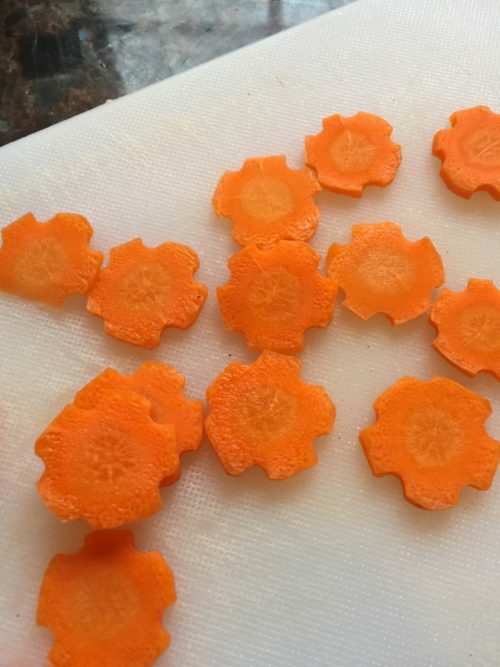 This is what the little “carrot” flowers will look like when you are through slicing about 1/8-1/16″ slices. Blanch these in water for 5-6 minutes. Slice the baby corn into thin slices. They will look like tiny flowers. 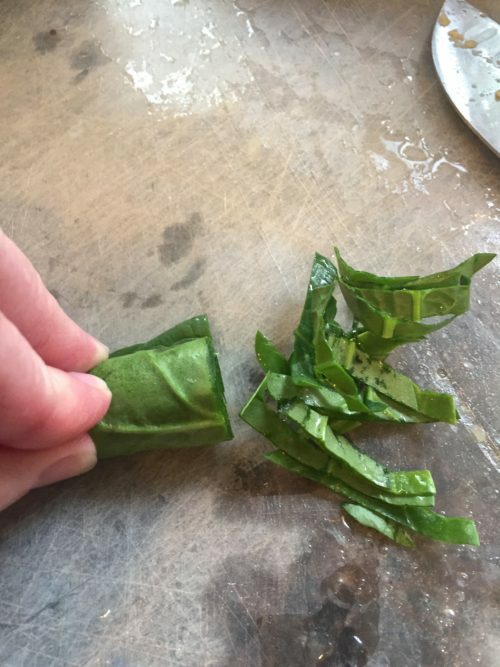 Stack several stemmed spinach leaves and roll up in a chiffonade and slice into thin strips. Set aside. 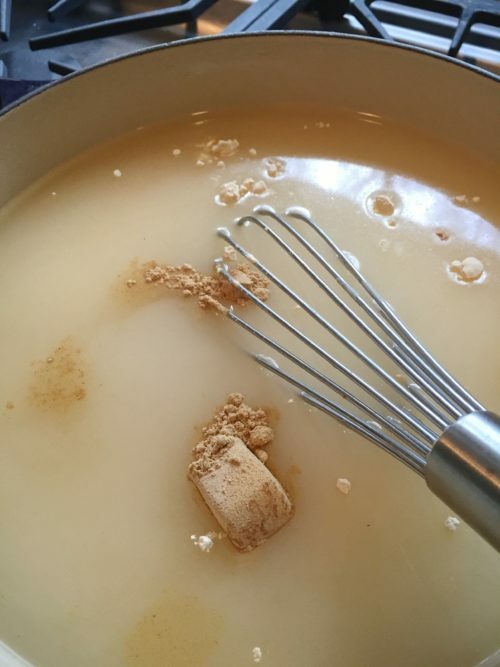 Whisk together chicken stock (chilled or room-temperature), cornstarch, ginger and garlic powder in a medium saucepan until combined and no lumps remain. Heat over high heat until boiling, stirring occasionally. 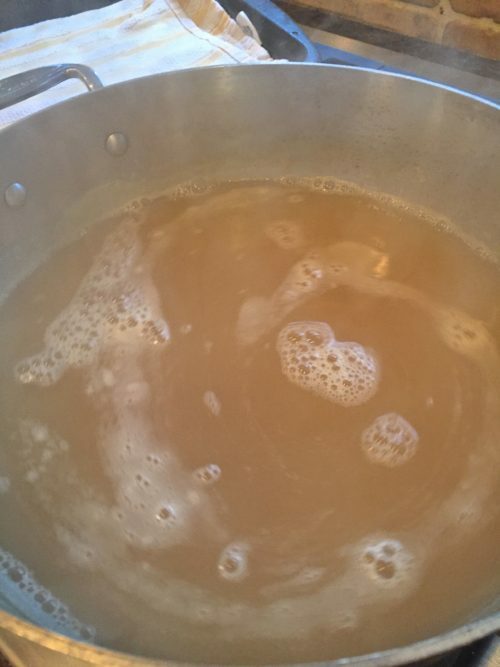 Once the broth reaches a boil, remove from heat. 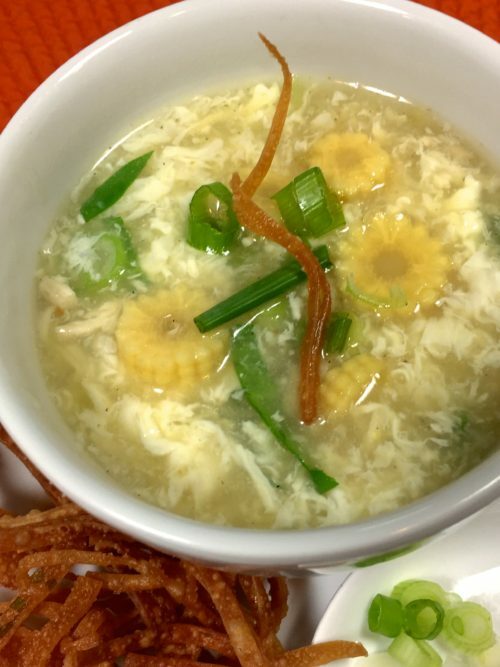 Then use a fork or whisk to stir the broth in a circular motion, while slowly pour the whisked eggs into the soup to create egg ribbons. Stir in the sesame oil, green onions and corn (optional) until combined. Season with salt and pepper to taste, also adding a dash or two of more sesame oil if you'd like more of that flavor. Serve immediately, topped with additional green onions for garnish. The French term chiffonade means "made of rags." In cooking, chiffonade is a technique for slicing herbs and leafy vegetables into long, thin strips. This method is useful for cooking tougher greens like kale and chard, which can be hard to chew when left in bigger pieces. It's also a nice way to slice up herbs like mint or basil to scatter over a dish or add to a salad. To chiffonade something, stack and roll a small pile of leaves and then slice (or snip) them into thin ribbons. NOTES ON CARROT FLOWER-- my big mistake was putting them in a bowl with a little water and nuking them. they almost totally dried up by the time I was going to pop them in the soup. Blanching will be a lot better method.